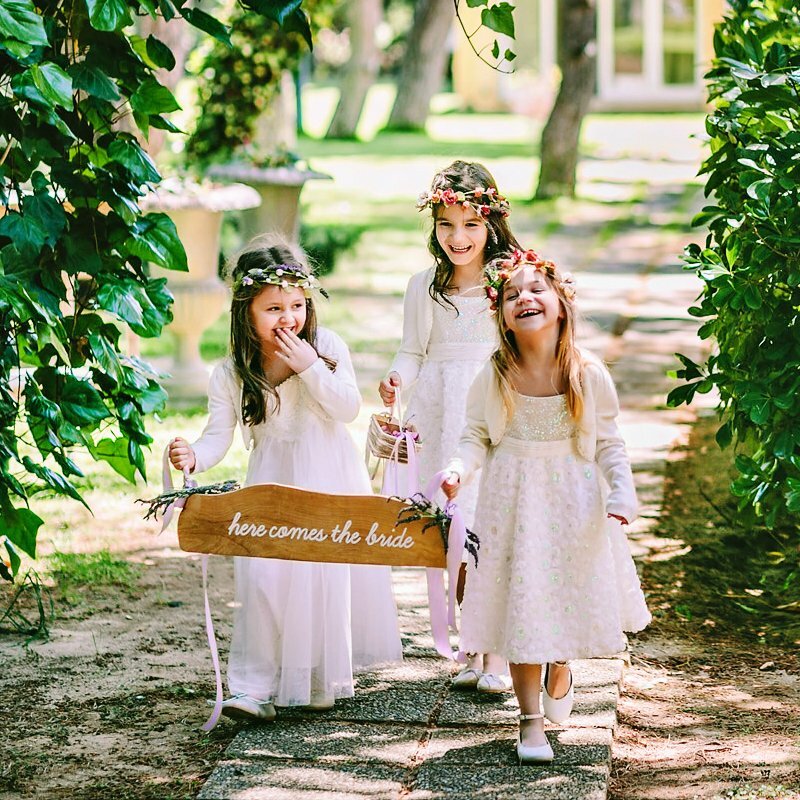 It’s easy to get carried away with trends when planning a wedding, so I LOVE how personal Valerie Gimre of Charming Touch Parties helped to make this Vintage Glam Travel Themed Wedding. 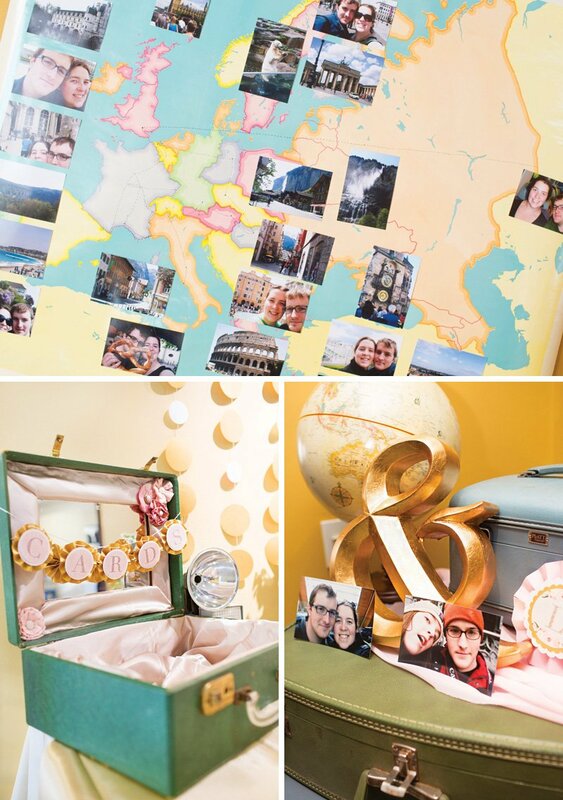 Since the couple has traveled extensively together, they included lovely details like vintage globes, photos & maps — making this wedding a direct reflection of the husband & wife to be. 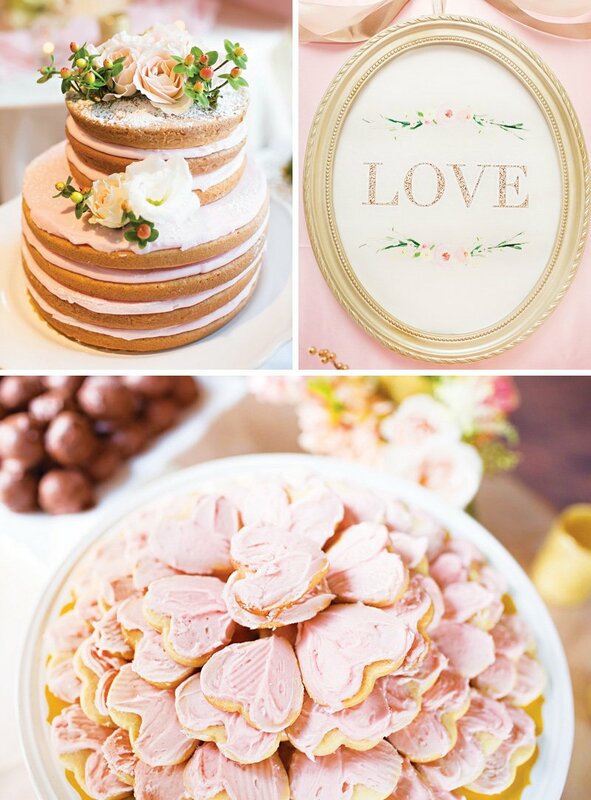 The sweet romance of the candlelit tablescapes & blushing desserts are just the icing on top of a beautiful day! 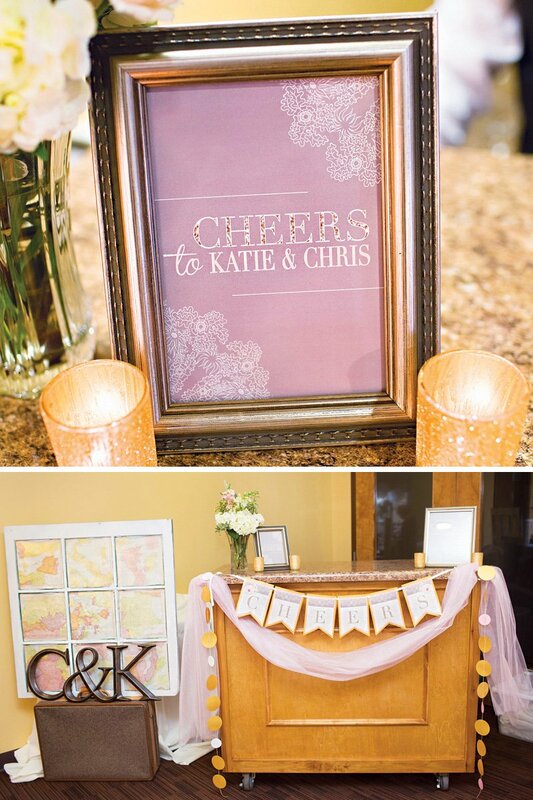 We love that weddings are such a personal reflection of the bride and groom’s taste and style. 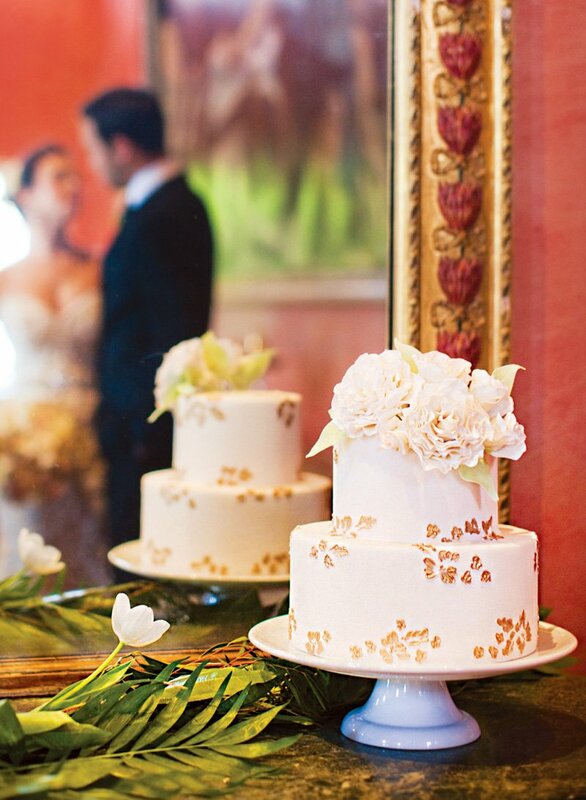 There’s nothing sweeter than a wedding that truly speaks to the couple’s personality. 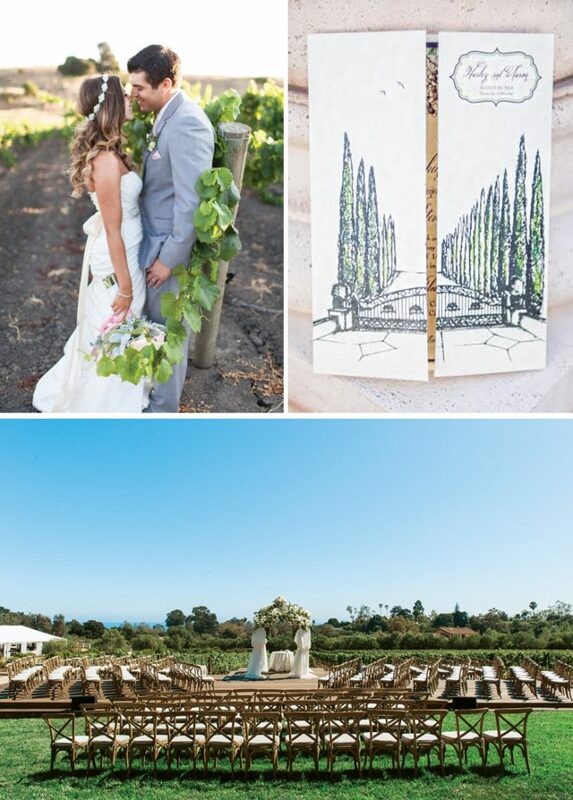 Last fall, we were approached to style a wedding reception around the soon-to-be-bride and groom’s travel adventures together around the world. 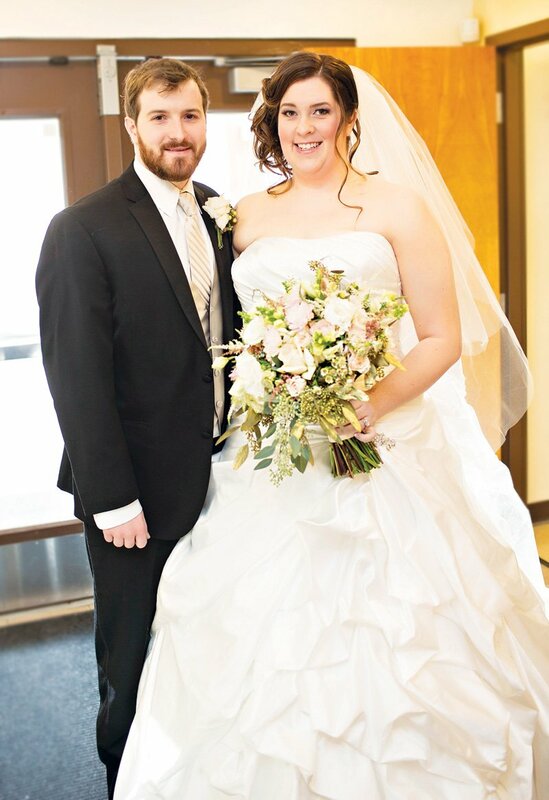 The couple had traveled extensively while dating and wanted their wedding to be a snapshot of their travel memories. 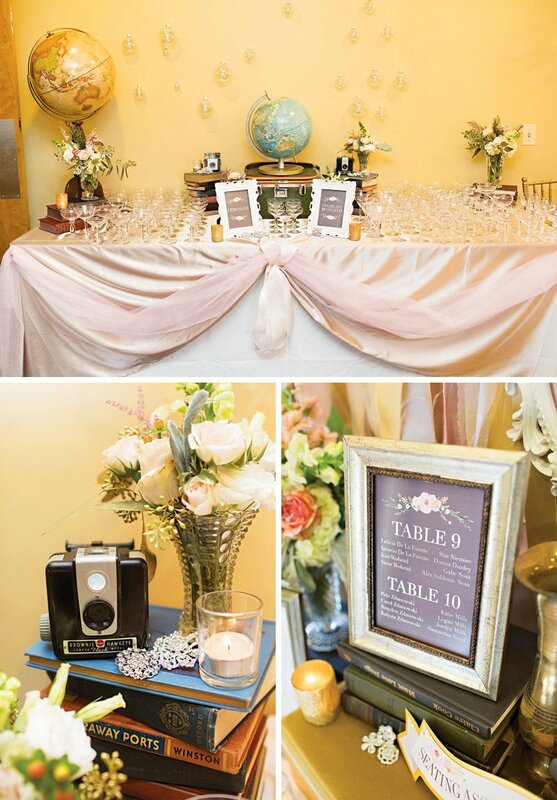 Our plan was to keep the design elements romantic with some vintage elements. We opted to stay away from anything too rustic, since our venue was a park district lodge, which added its own rustic canvas. 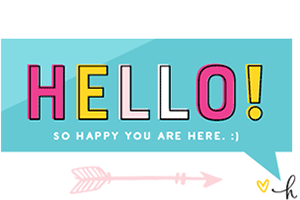 We enlisted the help of our go-to graphic designer friend, Beth Kruse, from Beth Kruse Custom Creations. 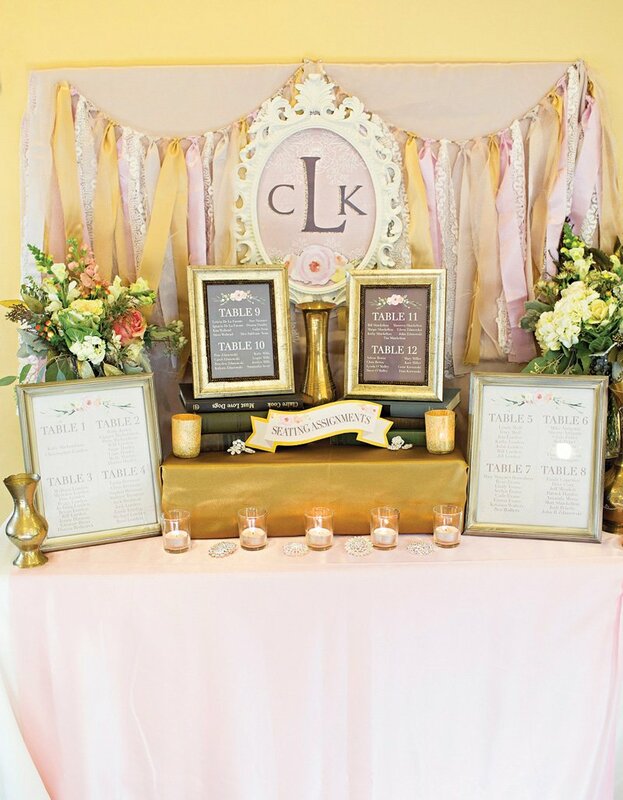 She helped us capture our glamorous yet vintage vibe perfectly through graphic elements. 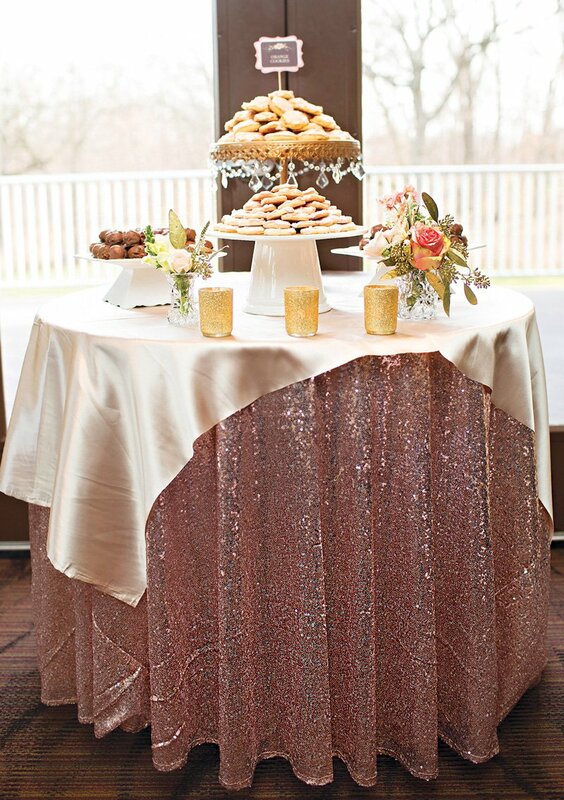 We chose a color palette of blush, peach, ivory, taupe gold and gold glitter. 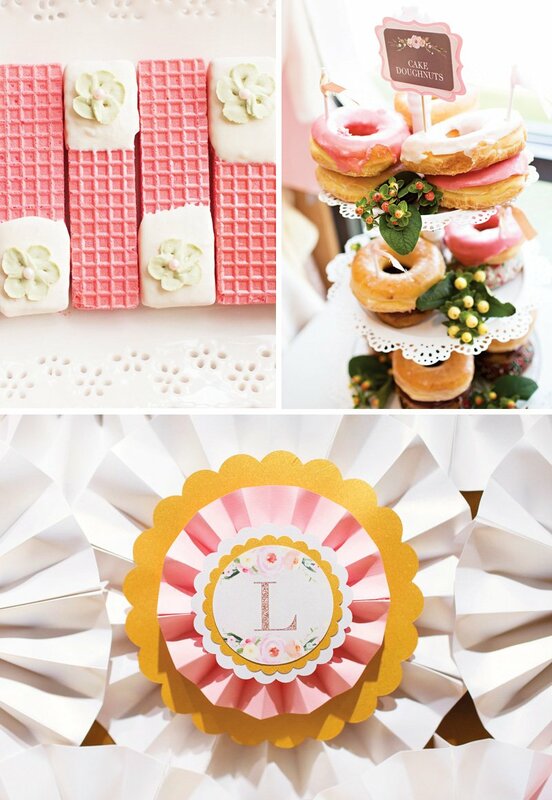 A large oval “LOVE” backdrop and two “LOVE is Sweet” banners helped adorn a full wall of mini desserts for our guests to enjoy throughout the reception. 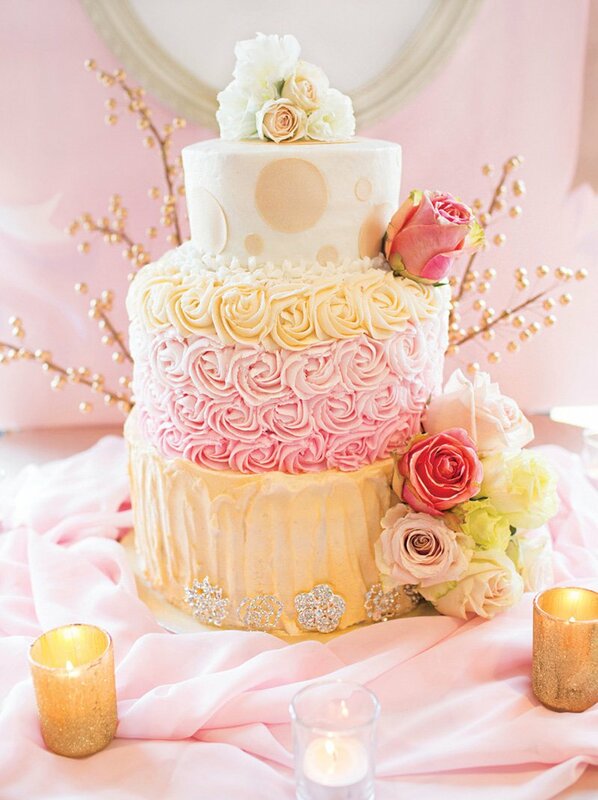 Our bride was a dessert LOVER so we went BIG on desserts. 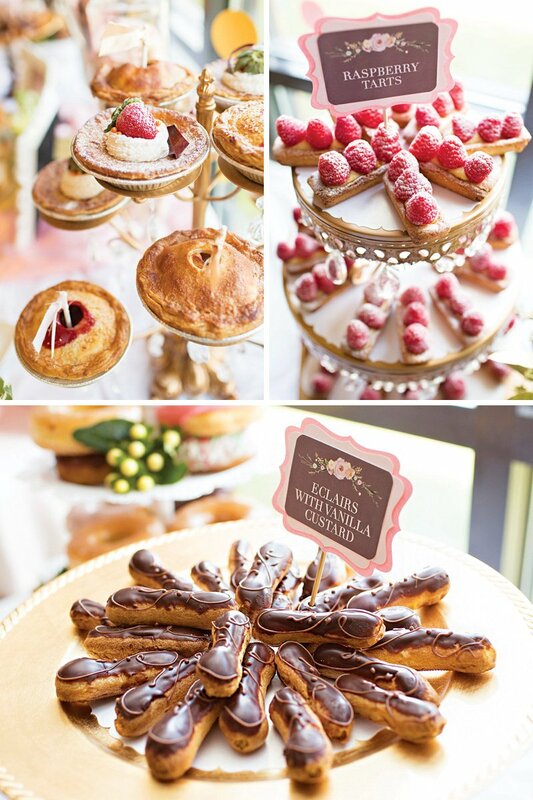 From cakes, to boutique cookies, a doughnut tree, mini pies, tarts, eclairs, and more – our desserts were plentiful and a hit. 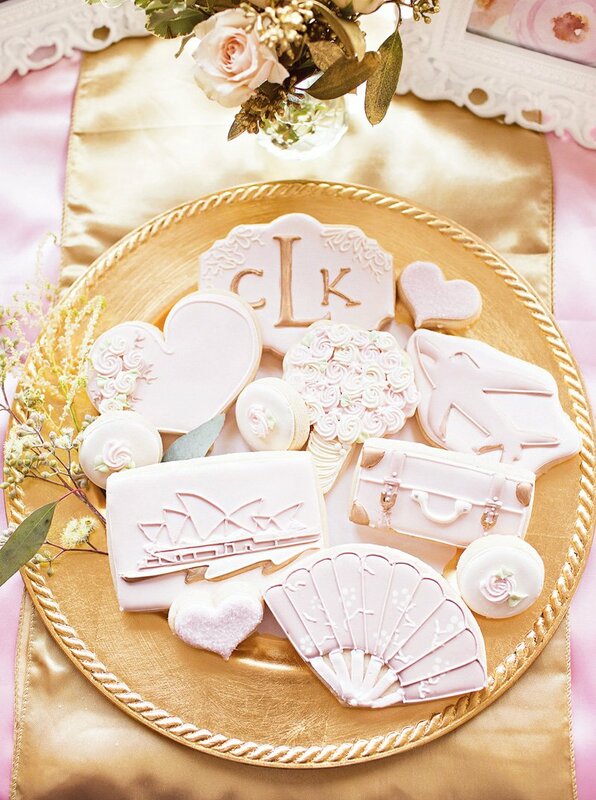 Our bride’s mother even made her famous frosted heart cookies, which were such a sweet personal element to our lovely dessert offerings. 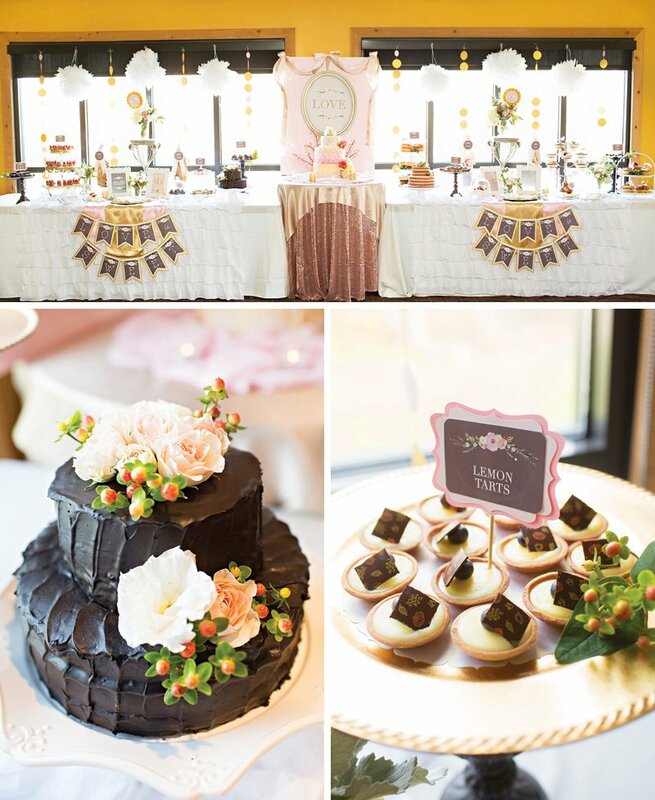 Throughout our dessert tables we incorporated beautiful florals and candles to keep the décor fluid and romantic. 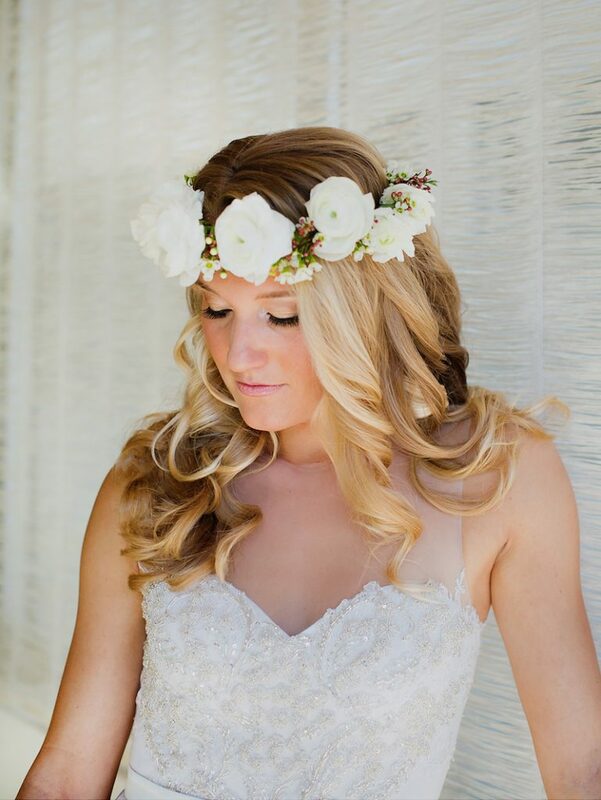 We are true believers that a beautiful wedding must have gorgeous florals and this wedding was no exception. 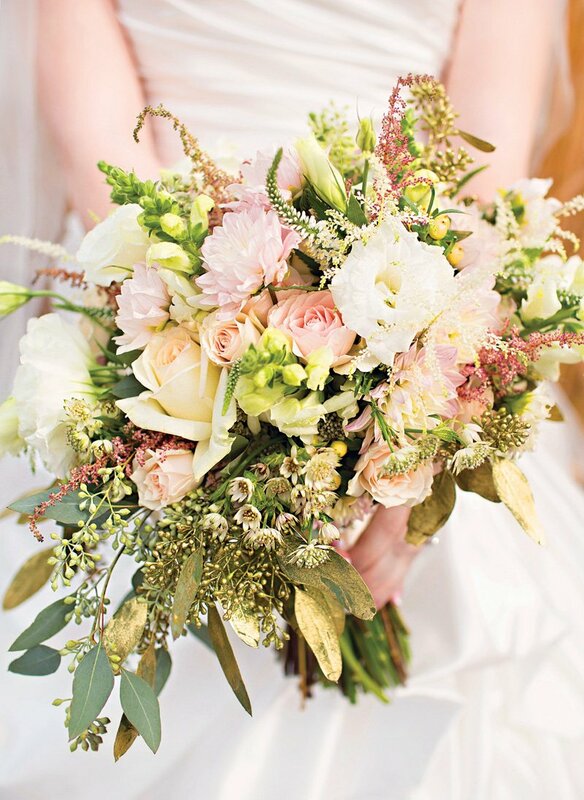 Kristen Janes from Kio Kreations did a masterful job in creating florals that spoke to our sweet, vintage yet glamorous mood. 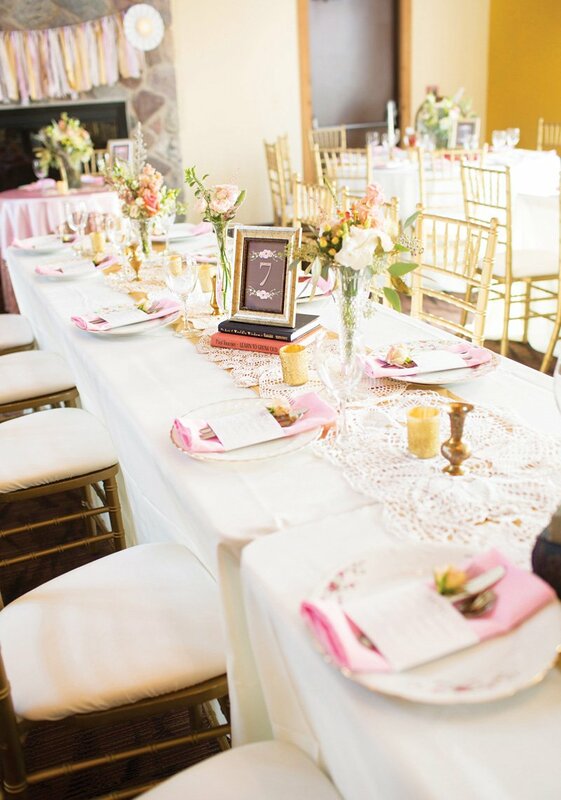 Instead of large arrangements at each table, we chose to line our tables up vertically and utilize our bride’s collection of vintage crystal vases to create small, impactful arrangements of florals. 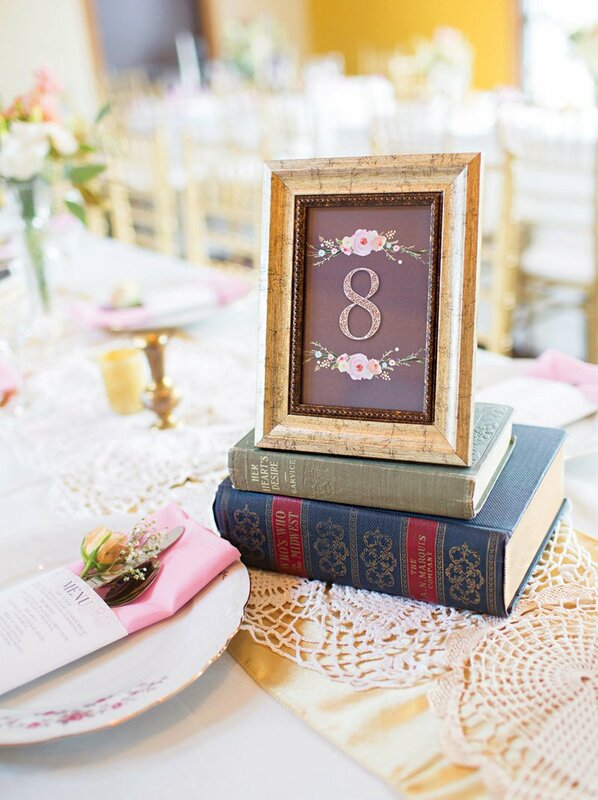 This, combined with the white doilies, vintage books and varied candle arrangements continued our romantic and intimate mood. It was lovely. Another feature that cannot be forgotten is the gold chairs. We truly don’t believe this seating arrangement would have looked or felt the same with regular park district chairs. 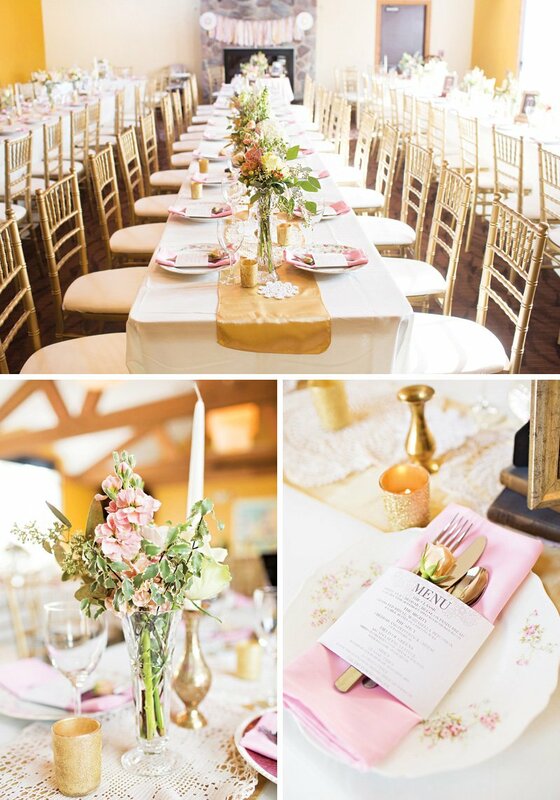 Splurging for our gold chairs added such an element of class and sophistication and truly added to our glam mood. We continued the travel vibe with a large map of the world and photos and pinmarks of where the couple had traveled. Surrounding our map, we positioned stacked vintage suitcases, globes and vintage cameras that created the sweetest little vignette. It was most definitely a conversation piece and again, a lovely personal reflection of the married couple. This was a lovely celebration and one that we were honored to be a part of. Love this Vintage look! 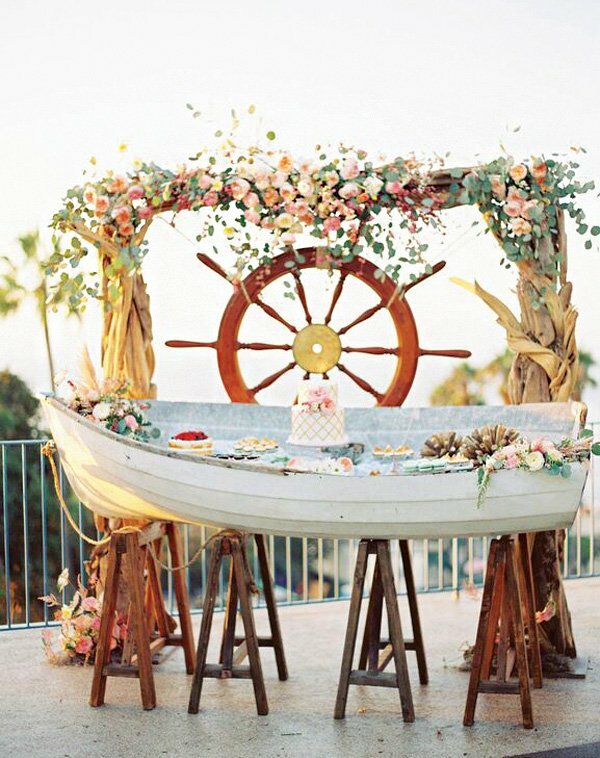 I was able to find some decorations at https://theweddingexpert.com/decorations – Pretty cool making a theme wedding!